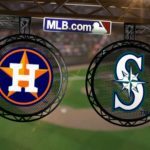 This game will be the second in a three game series between the Houston Astros and the Seattle Mariners, which is going to be played at the Safeco Field. At the time of writing, the first game of the series has not been played yet, so we will look at their stats from the end of their previous series. The Astros are coming from a four game series against the Oakland Athletics, in which they were to sweep the Californians by winning al four games. The Astros won each game fairly comfortably, with 4 – 1, 8 – 4, 5 -1 and 12 – 9 results. The Mariners, on their part, are also coming from a four game series against the Detroit Tigers, in which they were also able to sweep the other team, winning all four games, with 6 – 2, 5 – 4, 7 – 5 and 9 – 6 results. The starting pitcher for the Astros will be Lance McCullers, and he will be making his fourteenth start of the season. In his previous games, he has been able to get six wins, while losing only one. He has pitched 76.2 innings, allowing 58 hits, 25 runs and 6 home runs, for an earned run average of 2.58 and with 89 strikeouts. Sam Gaviglio will be the starting pitcher for the Seattle Mariners, and he will be making his eighth start of the year. In his previous games so far this season, he was able to get three wins, one loss and left two games undecided. He has pitched 39.1 innings, allowing 35 hits, 20 runs and 9 home runs, for a pretty good earned run average of 3.43 and 25 strikeouts. We believe McCullers will help the Astros in this second game of the series. The total is being set at 9, so we suggest you go with the under.